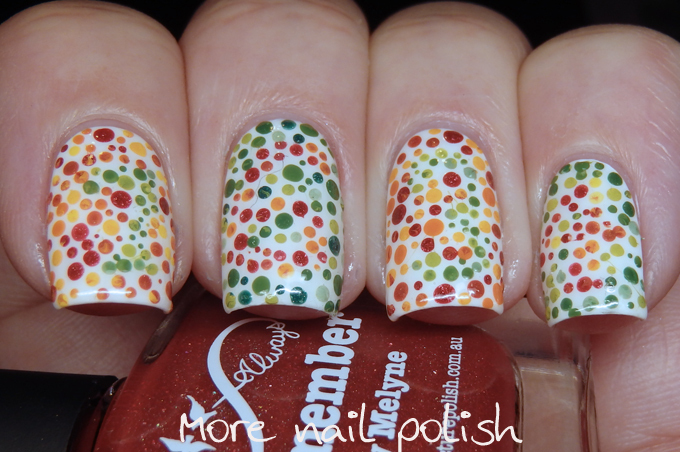 Oh my, I have really taken dots to another level with this mani. Today marks the beginning of the worst week of the 31 Day Challenge for me, where I try to combine two prompt themes into one mani. 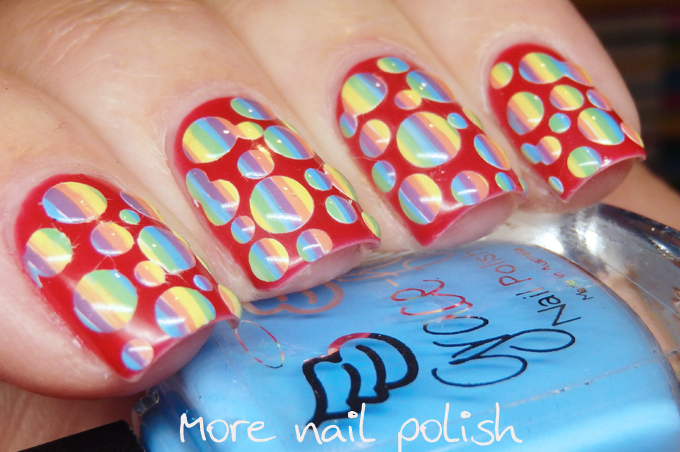 The theme this week for the Digital Dozen is 5th Birthday, because can you believe the DD girls have been creating nail art as a group for that long! 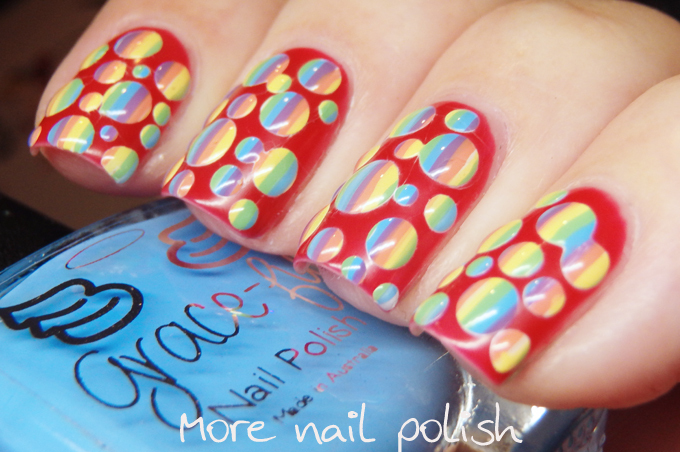 All my mani's this week need to incorporate the '5' theme in some way, as well as meeting the prompt for the 31 Day challenge. I think the dots are pretty obvious here, but the 5 is probably not so obvious. The 5 is that I used five colours within my dots. You can see it easily on the larger dots, were there are stripes of orange, yellow, green, blue and purple. 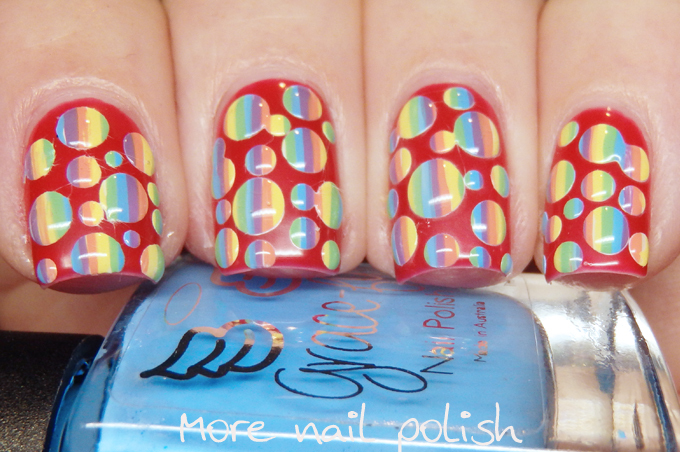 I created this mani by laying down a red gel base. On top of that I covered my nails in the very thin 5 colour stripes. 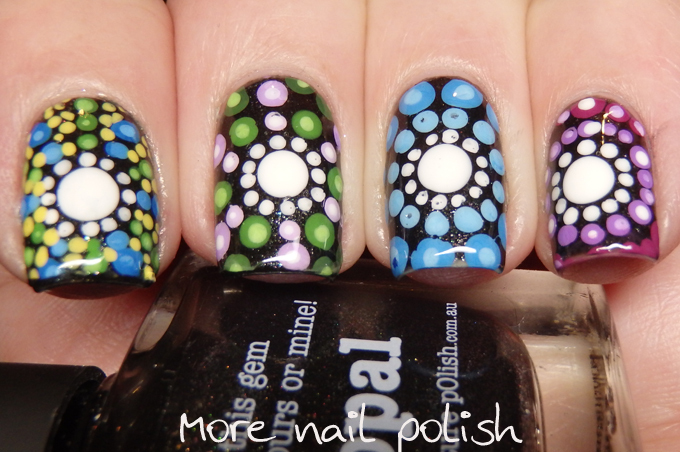 Next up was dots using clear gel top coat and cure. 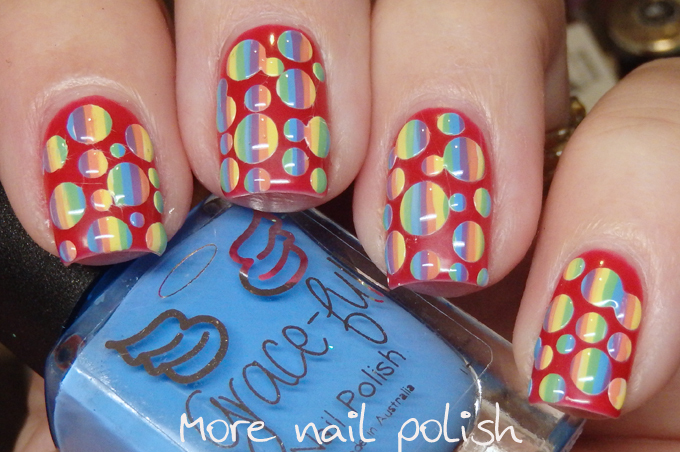 Lastly, I used polish remover to remove the rainbow stripes except where they were covered by the dots. I also feel the overall look is very birthday party-ish too, like rainbow confetti or something. 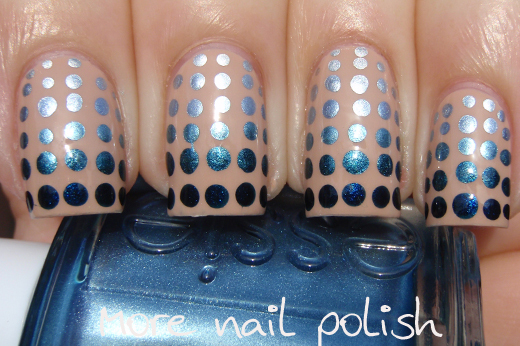 My Polka dots nails from 2013, 2014, 2015 and 2016! That is so clever! I was trying to figure out how you did it...I never could've come up with that technique! This looks awesome and must have taken forever. I am really impressed! These are amazing! Must of taken a lot of Patience! This manicure is both really cool and wearable but also so impressive in terms of the time it must've taken you to paint everything! 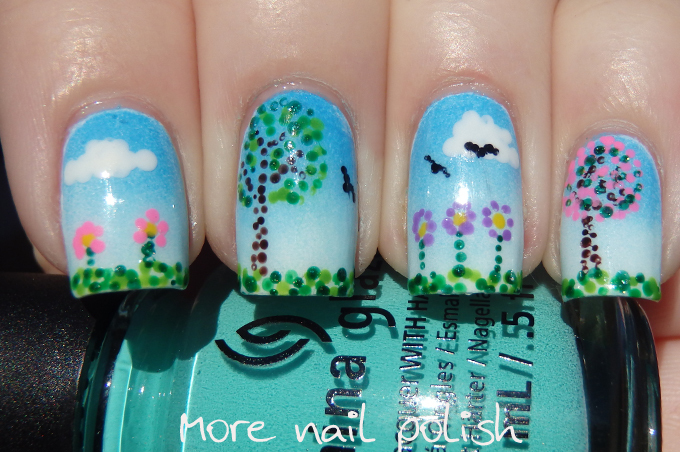 Really, really great mani!